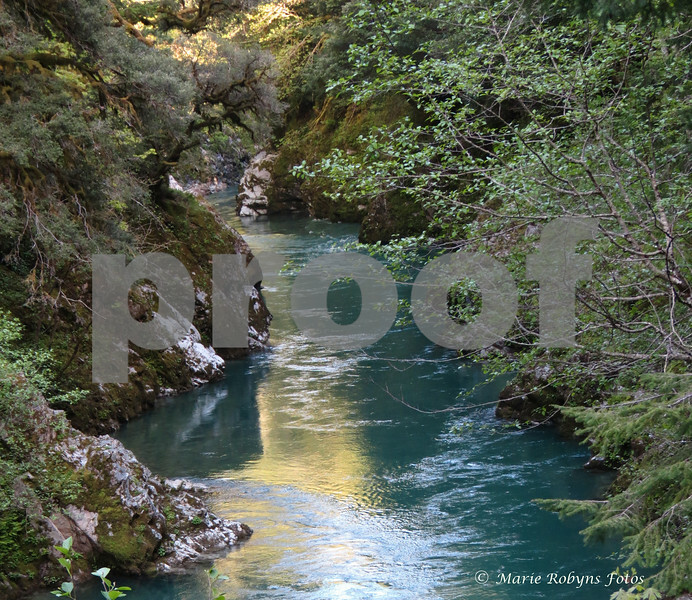 Elk River is an emerald river north of Port Orford, Oregon running through narrow chasms of rock and pristine forest. Elk River runs through narrow chasms of rock and pristine forest. Elk River is located on the Southern Oregon Coast off of coastal Highway 101, six miles north or Port Orford, Oregon. Photograph taken May 6, 2012 about 4 pm.